Playing two Grandmasters in one day! GM Eric Hansen and GM Robin van Kampen are presenting a tandem simul in Toronto! GM Eric Hansen, a Canadian champion, and GM Robin van Kampen, a chess prodigy from The Netherlands, will be playing 30-40 adults and juniors simultaneously on Sunday, April 13, 2014. This event is open to any adult and junior chess players. 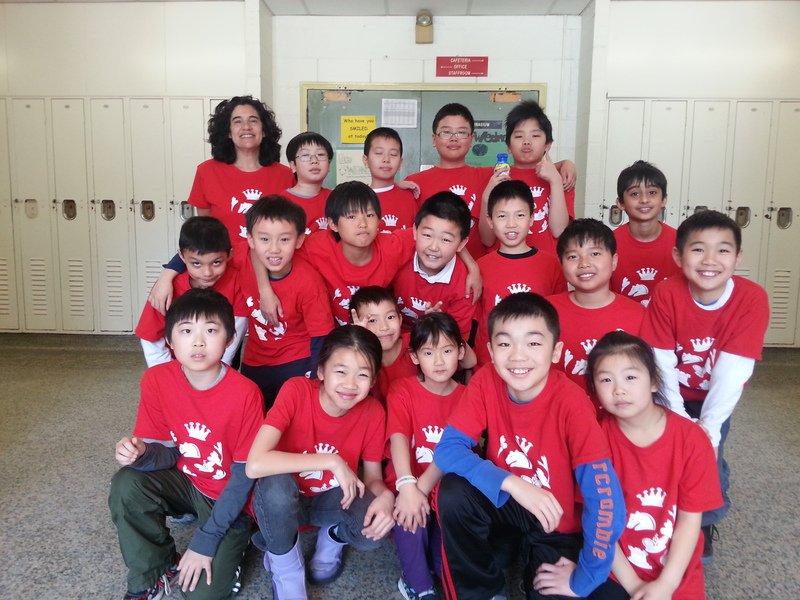 18 of our players played in the TDSB Chess Championship – north quadrant qualifier today (March 21, 2014). Congrats to all the players, they all did a fantastic job. Both our primary and junior teams came first and advanced to the city finals. This tournament is run on March 30, 2014 at University of Toronto, Mississauga.